A core of dark chocolate covered with white chocolate, strawberry and sugarcoated. A core of dark chocolate covered with white chocolate, lemon and sugarcoated. 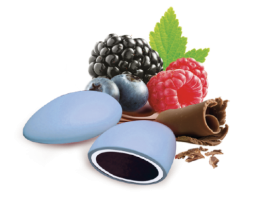 A core of dark chocolate covered with white chocolate, blueberry and sugarcoated. 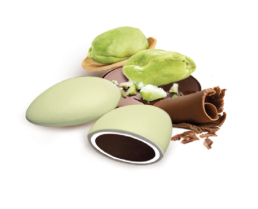 A core of dark chocolate covered with white chocolate, pistachio and sugarcoated. 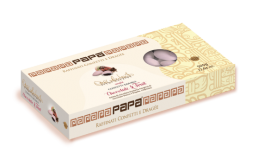 A core of dark chocolate covered with white chocolate, wild berries and sugarcoated. This blend celebrates beauty, naturalness and innovation in the enchanted world of events and ceremonies.